Anyone who has started a business has his or her own rules and guidelines, so I thought I would add to the memo with my own. My "rules" below aren't just for those founding the companies, but for those who are considering going to work for them, as well. 1. Don't start a company unless it's an obsession and something you love. 2. If you have an exit strategy, it's not an obsession. 5. Know your core competencies and focus on being great at them. Pay up for people in your core competencies. Get the best. Outside the core competencies, hire people that fit your culture but aren't as expensive to pay. 7. No offices. Open offices keep everyone in tune with what is going on and keep the energy up. If an employee is about privacy, show him or her how to use the lock on the bathroom. There is nothing private in a startup. This is also a good way to keep from hiring executives who cannot operate successfully in a startup. My biggest fear was always hiring someone who wanted to build an empire. If the person demands to fly first class or to bring over a personal secretary, run away. If an exec won't go on sales calls, run away. They are empire builders and will pollute your company. 8. As far as technology, go with what you know. That is always the most inexpensive way. If you know Apple, use it. If you know Vista, ask yourself why, then use it. It's a startup so there are just a few employees. Let people use what they know. 10. Never buy swag. A sure sign of failure for a startup is when someone sends me logo-embroidered polo shirts. If your people are at shows and in public, it's okay to buy for your own employees, but if you really think people are going to wear your branded polo when they're out and about, you are mistaken and have no idea how to spend your money. 12. Make the job fun for employees. Keep a pulse on the stress levels and accomplishments of your people and reward them. My first company, MicroSolutions, when we had a record sales month, or someone did something special, I would walk around handing out $100 bills to salespeople. At Broadcast.com and MicroSolutions, we had a company shot. The Kamikaze. We would take people to a bar every now and then and buy one or ten for everyone. At MicroSolutions, more often than not we had vendors cover the tab. Vendors always love a good party. 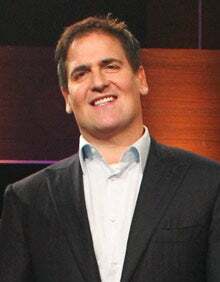 This article is an edited excerpt from How to Win at the Sport of Business: If I Can Do It, You Can Do It (Diversion Books, 2011) by Mark Cuban (Available at Amazon and iTunes).